According to a study done by the Louisiana Center for Nursing, 94 percent of newly licensed registered nurses (RNs) were able to find employment as an RN. Clearly, a degree or certification in nursing provides individuals with ample job opportunities and solid job security. If you are thinking about a career as a nurse, there are several educational options available. This article will explore the three different programs available (practical nurse, associate’s degree in nursing, bachelor’s degree in nursing) and the requirements for becoming a nurse in Louisiana. 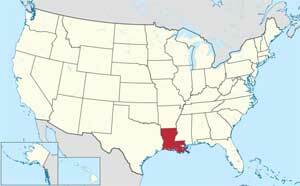 Within the state of Louisiana, licensed practical nurses (LPNs) represent 34% of the nurses. To become an LPN one must first complete a PN program of study at an accredited school in Louisiana. These programs usually require 8-12 months of study, along with hands-on clinical experience. Once you have completed your PN degree you can apply to take the National LPN exam. Many students find that starting with a PN program is preferable to a RN program because it is cheaper and shorter, however LPNs do not have as much independence in the workforce and often go back to school to become an RN (LPNs cannot challenge the National exam for RNs). There are two ways to become a registered nurse (RN) in Louisiana: complete an Associate’s degree in nursing (ADN) or a bachelor’s degree in nursing (BSN). Both have their pros and cons and the program you pick will largely depend on the future career goals you have set for yourself in nursing. An Associate’s degree provides you with the opportunity to sit for the NCLEX exam and become a registered nurse. These programs can take anywhere from 12-24 months and involved clinical practice and nursing theory along with general education courses. According to the Louisiana Board of Nursing, there are 12 approved ADN institutions in Louisiana. The second way to become an RN is to graduate with a bachelors of science in nursing degree. This undergraduate degree usually takes 3-4 years to complete and is a more comprehensive program of studies than the Associate’s degree in nursing. Graduating from a BSN program is typically for those who would like to further their studies and pursue a master’s degree in nursing. Students who began their nursing education in ADN programs can transfer to BSN programs to continue their studies. As you can see, there are many different paths one can take to start their career in nursing. When choosing the path you should take, be sure to consider factors such as admission rates, clinical experience offered and of course, your future nursing aspirations.